!! So Excited !! Today I have my first ever illustration in the New York Times! It's definitely a milestone in the career of any illustrator and one I'll never forget. You can read the article here. 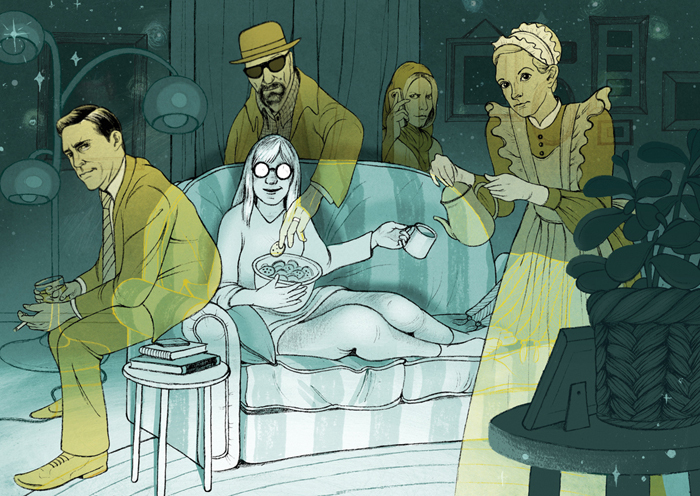 The article about how TV shows these days infultrate our lives and bring continuity to the fragmented way we go about living. It goes on to talk about how we are able to binge on hours of a single TV show in one setting due to DVD's and platforms like Hulu and Netflix. This is something I can totally relate to having just spent the holidays blowing through all of "Downton Abbey", the first season of "The West Wing", and, since this project has completed, "Homeland". I wanted to explore the feeling that these characters come to feel like part of your life even though they are just fictional characters that don't actually exist in real life. 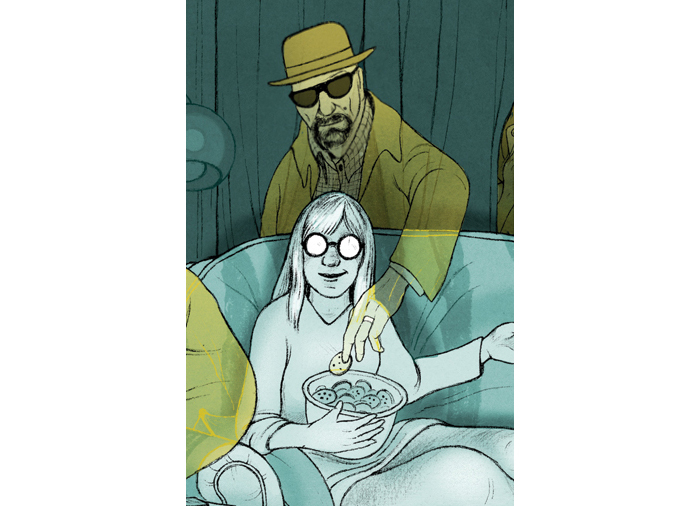 This is my favorite part of the illustration. I like to call it "Heisenberg steals a cookie". Ha Ha. Major THANK YOU to the talented art director with the coolest name in town, Aviva Michaelov for this assignment. I'll never forget it! So, I didn't post yesterday. 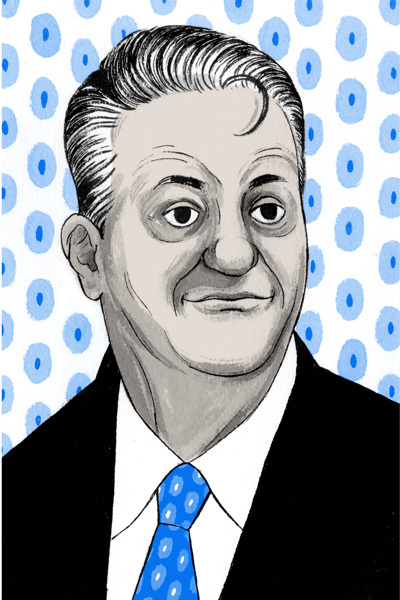 I didn't really like the coach I did (Jim Calhoun), so I didn't post it. It's my blog and I can do what I want to :P.
I was going to save this for the final four...since in my bracket his team was there. Alas, it was not meant to be. 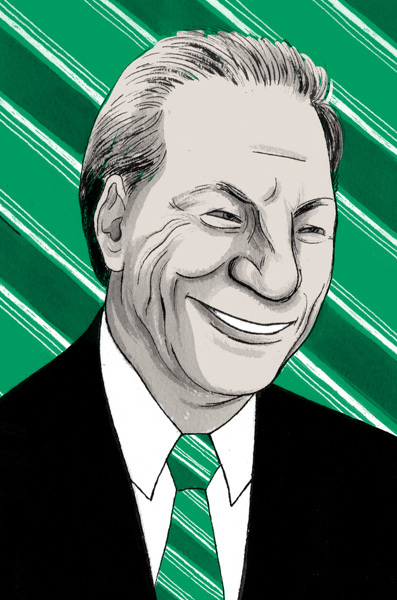 Tom Izzo of Michigan State. We're back! And lucky for me, the Jayhawks are still dancin'. 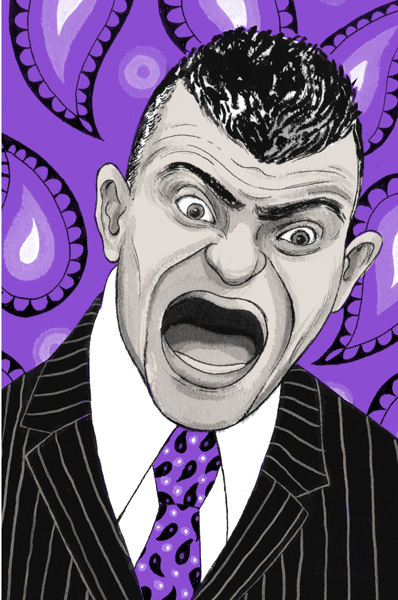 Today's coach, the colorful Frank Martin of Kansas State. 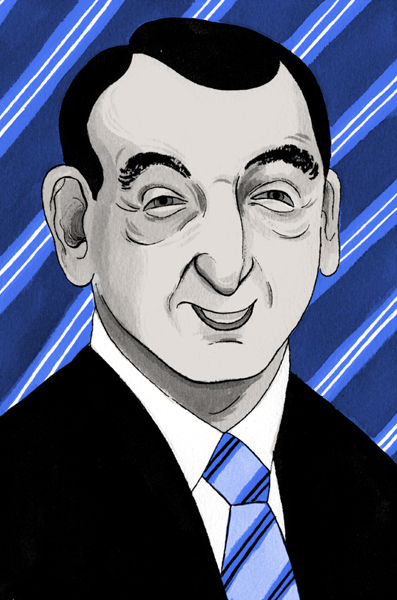 Evidendtly, my posting of Duke's coach yesterday carried some bad luck along with it. 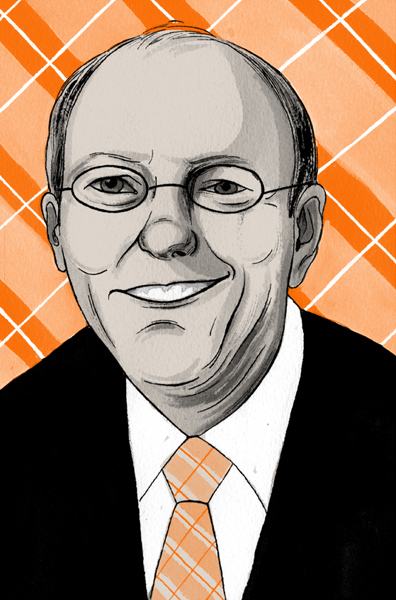 Perhaps the same will hold true today as I post the the portrait of Syracuse's Coach, Jim Boeheim. Any Jayhawk fan will know that there's no love lost here. Now let's go, K-State and beat those Syracuse...what's that mascot again...Orange?? Well, it's march and I'm MAD!! Mad for college basketball that is (yuck, yuck). The NCAA tourney time is officially one of my favorite times of year. Spring is on the horizon, everyone is coming out of their cocoons, the beer is flowing and once again, my 'Hawks are in it to win it! College basketball is a special kind of sport. Loyalties run deep. Players come and go. Being students, 4 years (if you're lucky) is the max you ever get to see your favorite player, but the Coaches are an institution. Sometimes staying decades at one school, we truly grow to love...or love to hate the Coaches of our teams and rivals. The tournament is played on 8 days, spanning 3 weeks. I'm going to post a portrait of some of my favorite Coaching characters on each of those days. 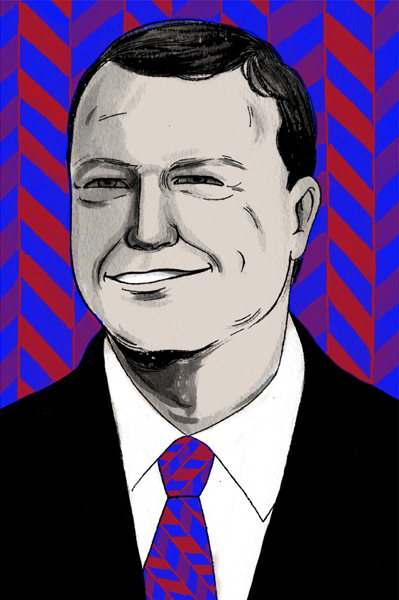 The first, why of course, the handsome Bill Self of Kansas!